e devices which won’t be getting the official Android 6.0 Marshmallow update, custom ROMs are making a way to those devices as well. It’s just been a few days since the custom ROM development started. We will be seeing a number of custom ROMs in the upcoming days. The official version of CyanogenMod 13 is all set to come out in the coming days, we will be seeing SlimKat, Paranoid Android, OmniROM and other famous custom ROM titles based on Android 6.0 Marshmallow. At the time of writing this post, the only custom ROMs available are AOSP Android 6.0 Marshmallow and Unofficial CyanogenMod 13. In case you’re already familiar with custom ROMs, you probably have an idea that custom ROMs do not contain any applications installed by default (we are talking about Google applications). In a freshly installed ROM, you will not find Google Play Services, Google Play Store, Gmail, Google Chrome or Hangouts applications. Since these Google apps are essential for your device and are the very basic applications for any Android device, you must flash these applications on your device after flashing an Android 6.0 Marshmallow custom ROM in order to get your device working properly. There are quite many GApps package files available for Android 6.0 Marshmallow, but not all of those GApps package files are supposed to work. You need to find a stable version of GApps for Android 6.0 Marshmallow that works with all Android 6.0 Marshmallow ROMs without any hiccups here and there. 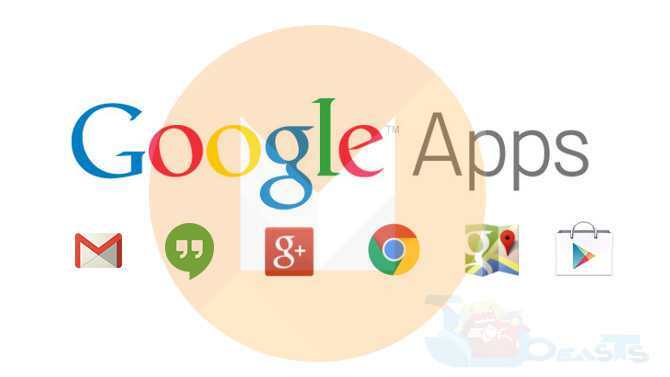 We have spotted the Google GApps version that will work with any Android 6.0 Marshmallow ROM. The download link is embedded below. Go ahead and download the GApps for Android 6.0 Marshmallow and go through the instructions to install it on your phone. Copy the GApps.zip file to your phone’s internal or external storage. Boot into custom recovery on your phone now. Select “Install Zip > Choose Zip from SD card > Locate GApps.zip” and flash it. You will have all GApps installed now. That’s all.